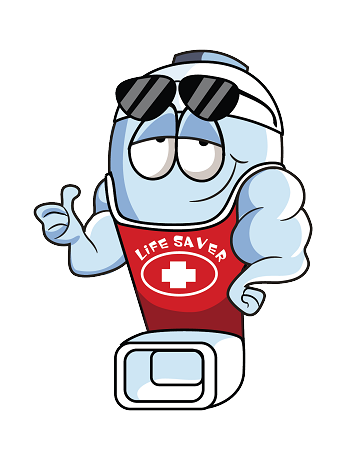 There’s nothing that makes Puffer happier than doing his job being a LIFESAVER! All it takes is just one wheeze and he is up and ready to dive right in and help widen those airways. In his spare time he gives free lessons in CPR. He also has a funny habit of flossing his teeth up to a dozen times a day. 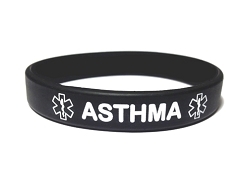 If your child has asthma, then the PUFFER asthma alert wristband is the one for you! This colorful band is designed to fit most kids from the age of 2 years old and up. 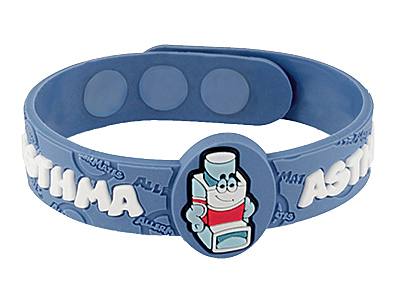 It is not only fashionable and cool but also serves as an important reminder of your child's asthma. This product creates great kiddie allergy awareness. Easy to clip on. Kids love it. It's fun, unlike other medical awareness bands. Hope Allermates creates one for Allergy to ibuprofen. Thank you!! Will be buying many more! Super fast shipping! So happy, thank you! Item just as described, fast delivery and Great communication. Fast ship, recommend this seller! New item, fast ship, recommend this seller!